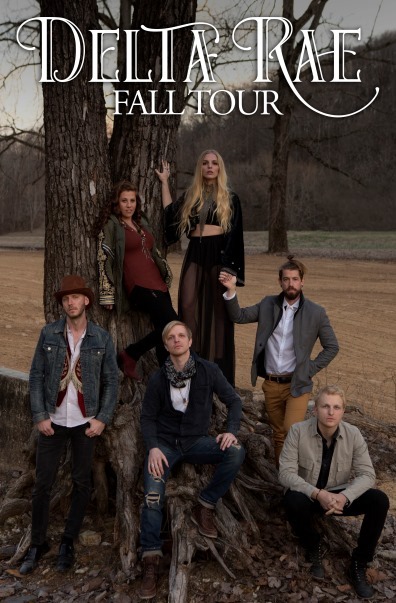 Headlining over 100 shows each year and a regular on the festival circuit since forming in 2009, Delta Rae’s larger-than-life performances have earned coveted spots at Bonnaroo, Tortuga Music Festival, Austin City Limits, Firefly, Bumbershoot, Summerfest, Hangout Fest, Kaaboo, Basilica, VOODOO, and Lollapalooza. They have received national attention with features in NPR, Washington Post, and New York Times, in addition to late night television performances and inclusion in Forbes’ 30 Under 30 list. Delta Rae were also recently named “One to Watch in 2018” by Billboard, CMT & Rolling Stone. Popular Des Moines-based folk rock / transcendent dream pop group Field Division will support the show.